Detox your life this spring by Living Light with Brandy Lane! Join certified nutrition coach, Brandy Hickman, for this FREE on-line support group! And, when you sign up you can receive my FREE “Freedom in Your Kitchen” booklet. In all I d o I lead with authenticity and a true desire to guide people to be happy, healthy and whole. 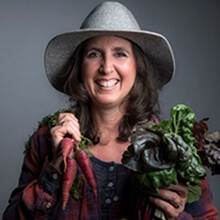 With an integrative approach to nutrition, health and life coaching, I use my experience as a Certified Integrative Nutrition Counselor, and a Registered Yoga Teacher to inspire you to live your best life. As the owner of 2B Well Integrative Health Center I am able to offer services and programs with the support of a multitude of resources. From 6 month one-on-one sessions to a simple detox online program, we work together to effectively reach your current and future health goals and create life-long habits.